As winter approaches, every Kamloops area homeowner begins to think about the furnace. Will in kick on? Will it last through another winter? Should we install a new furnace? If so, with what kind? The most important step to take before starting the furnace for the season is to have it inspected by a licensed professional heating contractor. Whether you are building your new home or simply replacing your existing furnace, you can depend on our Kamloops heating contractors for reliable, efficient heating solutions that will last you for years to come. While it is important to choose a furnace brand with a history of quality, performance, reliability, and customer satisfaction - the brand itself is not as important as the installation of the equipment. If you are in love with a specific furnace brand – 1st Choice Plumbing can get it. 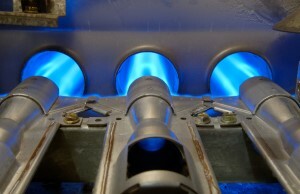 At 1st Choice Plumbing & Drain Cleaning Service, we have repaired thousands of furnaces throughout the Kamloops area. We have the experience and expertise solving any furnace problems you may discover in your home. From emergency repairs to routine maintenance, whatever is required on you furnace, or heating system. Our trained technicians have the skill in providing the prompt and professional service on all makes and brands of furnaces. Our goal in this industry is to provide our customers with prompt and efficient service. If you are looking for a professional Furnace Installation & Repairs, please call us today at 250-376-1438 or complete our online request form.